Shells, chains, charms and hoops-aplenty; demi-fine jewellery, laced with devil-may-care attitude, continues to populate our social feeds and wishlists. Crafted predominantly from sterling silver and gold vermeil, the ever-expanding demi-fine genre bridges the gap between fine and fashion jewellery, offering affordable, high-quality pieces that are elegant, edgy and made for mixing. Demi-fine jewellers also take sustainability seriously, with the majority of new designers advocating eco-friendly materials and plastic-free packaging. The demi-fine market has sparked its own ubiquitous micro-trends, from gleaming horn necklaces (first spearheaded by Spanish designer Maria Pascual) to coin pendants (thank Aligheiri and Missoma). The category is also growing bolder. Minimalist chains and huggie hoop earrings now sit alongside supersized pendants and sculptural designs, while chain belts and chunky charms are also on the rise. Scroll on for our favourite demi-fine brands to covet (just remember to remove before you shower or swim). Rosh Mahtani turned her hand to jewellery design after studying French and Italian at Oxford University, where she developed a particular affinity for Alighieri Dante’s epic 14th-century poem, Divine Comedy. 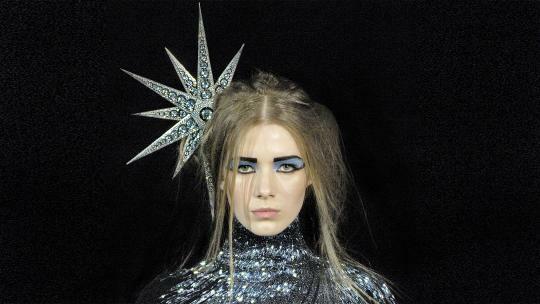 The otherworldly odyssey became the catalyst for Mahtani's unique collection of modern, medieval-style jewellery, which also draws influence from antique trinkets and tender memories from her childhood. 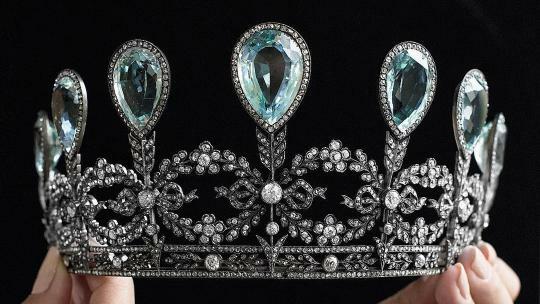 “Just like Dante’s subjects, each piece of jewellery is battered, imperfect, and a little bit melancholy," states Mahtani. Her bold designs strike the balance of delicacy and drama, whether it’s a medallion embossed with a lion’s head, designed to be worn as a reminder to “be courageous” or lightly hammered, chunky bangle, set with a freshwater pearl and perfect for stacking. 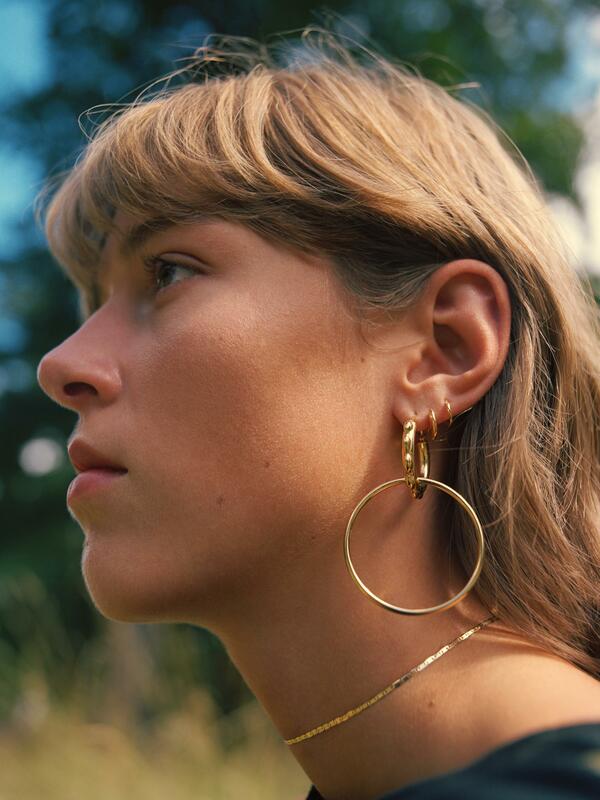 Maria Black has long been the cool girl’s go-to for minimalist metal rings and signature hoops, which range from diminutive huggie styles to saucer-sized swingers. The Danish designer trained at Goldsmiths in London before relocating to Copenhagen, and her sleek, clean-lined creations are the perfect balance of Dalston and Denmark. The designer has recently forayed into dainty fine diamond pieces, which are available at Liberty. Young Frankk is the LA-based designer tipped to take the UK by storm this year. 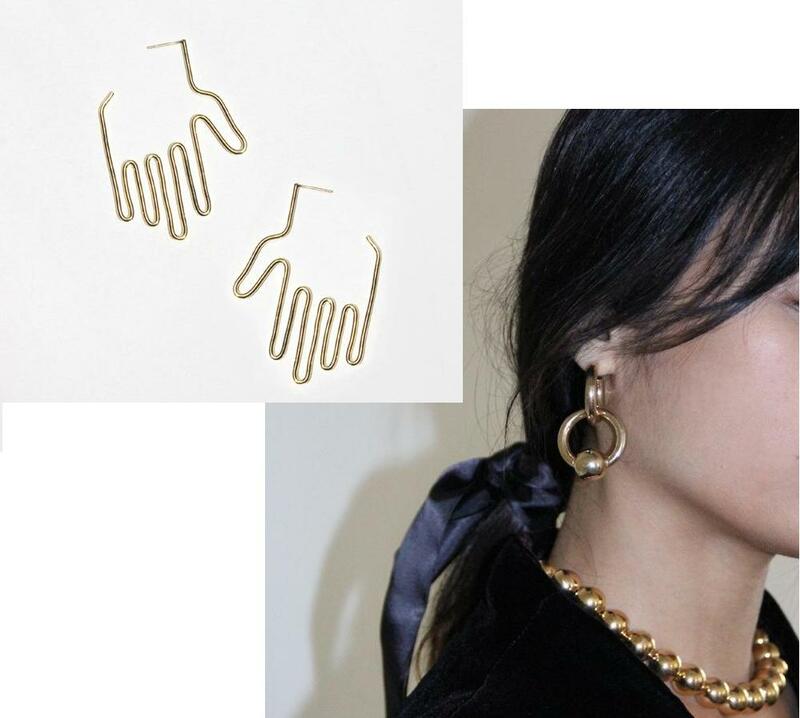 Founded by artist and self-taught designer Christine Young, the brand's sculptural Hands earrings have been doing the rounds on Instagram, alongside gleaming beaded collars and her double Cozette hoops. For eco-conscious consumers, Young's thoughtful pieces are created using recycled and locally-sourced materials and distributed in plastic-free packaging. Tohum can be credited with kick-starting the ongoing shell trend, with its now Instagram-famous Concha collection. 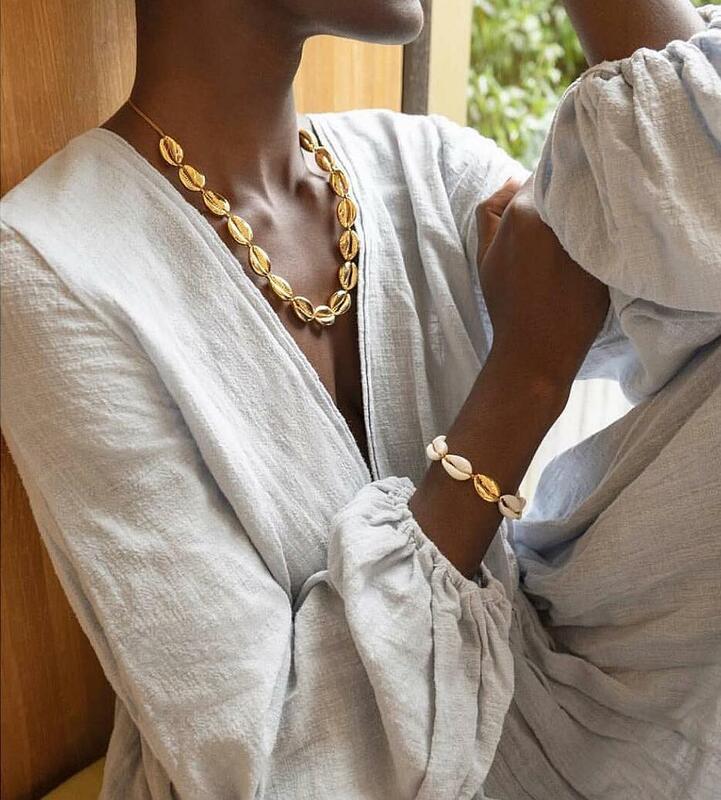 Founded in Istanbul by Verda Alaton, the brand translates seashells and natural forms into gleaming, gold-plated brass bracelets, which can be worn all year round. Monica Vinader is the original demi-fine doyenne, credited with pioneering the ‘sweet spot’ market of personalised, affordable fine gems and inspiring the superfluous stacking trend. From Kate Middleton to Kate Moss, the world’s leading ladies have worn her lustrous adult-appropriate friendship bracelets and vibrant gemstone rings, and more recently her chunky, customisable Alta charm bracelet. Vinader's glittering empire boasts five boutiques in London and is poised for UK expansion in 2019. Alex Monroe founded his eponymous brand in 1987, creating handcrafted, delicate jewellery inspired by the Suffolk countryside where he grew up. His imaginative world of wild flowers, feathers and prowling wildlife are the perfect foil to city life, while his signature Bumblebee motif has been worn by Sienna Miller, Emma Watson and many a fashion editor. Alex Monroe also offers a smaller, fine jewellery edit and specialises in bespoke engagement rings, created with a delightful dash of signature whimsy. The brand has also recently partnered with Friends of the Earth in a bid to reduce its plastic footprint and become as eco-friendly as possible. Collections are consciously created in Monroe's south London workshop, which also houses a jewellery school. The burgeoning dove motif, debuted by new jewellery brand Recognised, is fast becoming a symbol of solidarity in London. 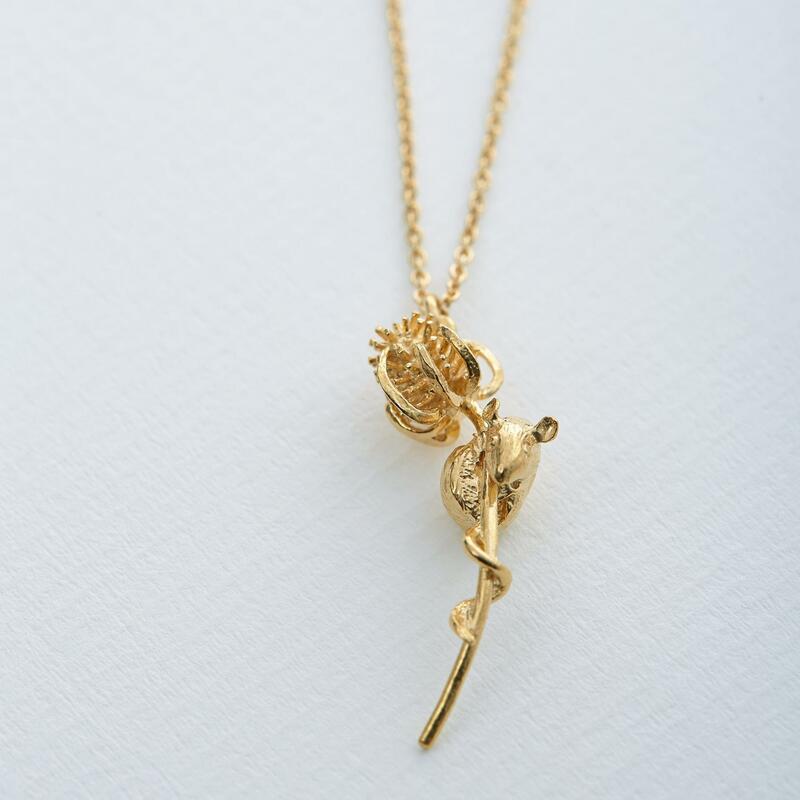 Husband-and-wife duo Anneka & Joel launched their patented Popon ® charm in 2018, with a bid to raise awareness of key charities through a fashion-forward collection of demi-fine jewellery. Available in sterling silver, rose and gold vermeil, bangles are designed in London and ethically handcrafted in Thailand. 100% of all net profits from the sale of the dove Popon ® are donated to charities supporting those with mental health issues, including MQ & Student Minds.